Galeri Petronas features rarely seen works from its collection in its first show of 2018. Malaysia has always prided itself on having a multi-ethnic society. Galeri Petronas celebrates this with an exhibition featuring an eclectic mix of visual art, complemented by traditional instruments and indigenous craft. Visual Dialects: Cultural Ties That Bind brings together 43 artists, each of whom presents a piece of his/her personal life. There are six segments, five of which are categorised according to Malaysian states. The last segment is dedicated to black and white photography. “This show is deeply anecdotal. It takes you back to the past, like jumping into a time machine to return to a place or particular time that brought you the most joy and bliss. The exhibition aims to show the similarities within the diversity of cultures in Malaysia in terms of traditions, history and customs,” says guest curator Sarah NH Vogeler during a curatorial walkthrough of the exhibition. If visitors were to start with the Johor-Pahang category, they would be greeted with familiar images. 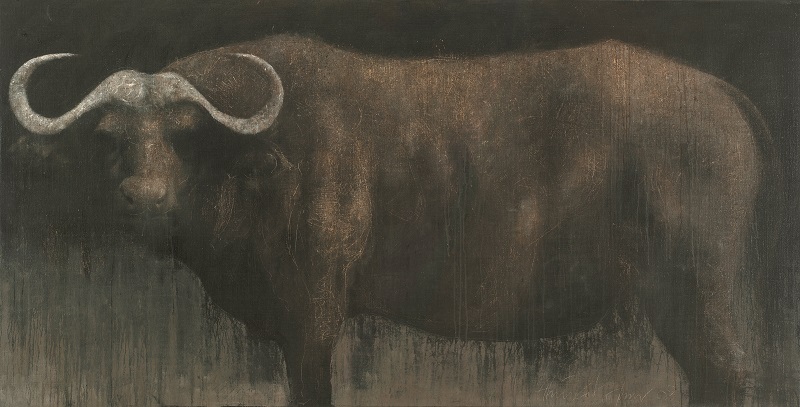 Ahmad Zakii Anwar’s Kerbau is a sombre painting, with the buffalo gazing out at the audience. “I like to call this penglipur lara (storyteller). The buffalo gazes at [us], as if saying, ‘Come, follow me and I’ll tell you the story of my country’,” Vogeler quips. The creature’s body almost fades into the background whereas the horns take prominence. “When a body is burnt, it is identified by dental records. In this case, when the buffalo disappears, it is the horns that survive. 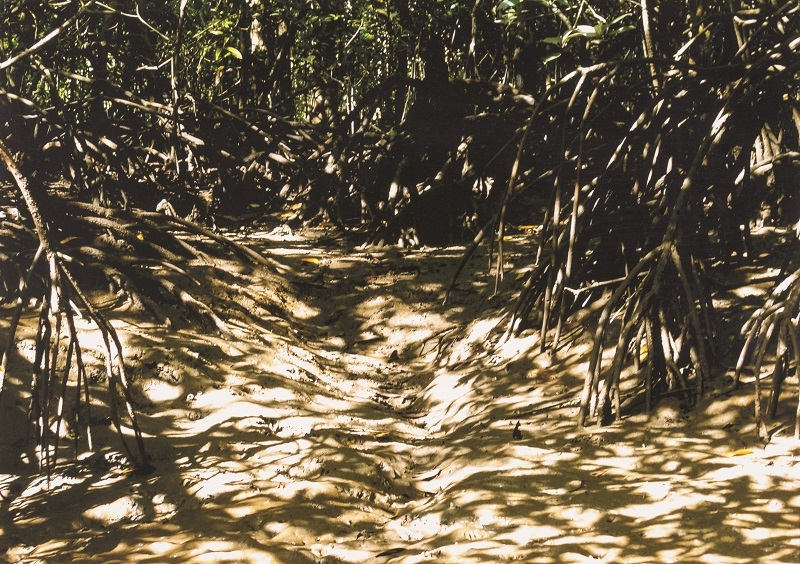 Even when something dissipates, a part of that something still survives and becomes part of the Earth,” she explains. Survival played a great part in the history of the Mah Meri, which Siti Zainon Ismail depicts in Luka Mah Meri. “The title means ‘wound of the Mah Meri’ and it references their flight from the islands of Johor due to internal tribal warring. They are master woodcarvers.” Woodworks borrowed from the Mah Meri Cultural Village are placed alongside this work to enhance its story. The Mah Meri woodworks were carved from the same type of trees Normah photographed, thus there is interconnectivity in the works on display. 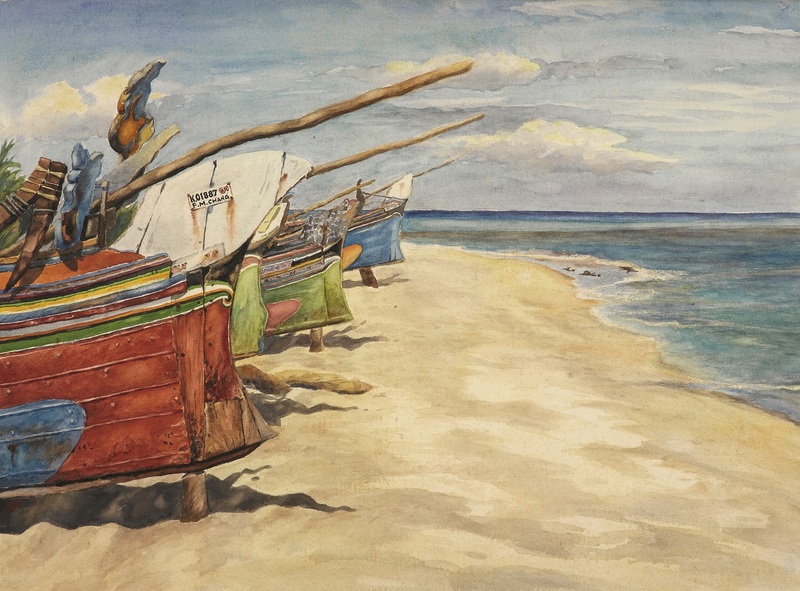 Moving on to Terengganu, Chang Fee Ming’s Friday has a number of boats lined up alongside each other. At first glance, it looks like a mid-day scene in a fishing village. But look closer and you will realise the absence of figures. This could allude to the day of the week, when Muslim men convene for their Jumu’ah (Friday prayers). The uniform arrangement of the boats perhaps points to the direction they must face when praying. The tour ends at Magdalene Tai’s colourful Nyonya Woman and Son, which depicts a woman holding her infant son in an affluent Peranakan home. “Tai does not have children herself and she is a widow. That is reflected in her work — the lady’s eyes have this faraway look, as though [she is] missing her husband dearly. The son is doll-like, showing he’s not real. It’s semi-autobiographical. The artist has not admitted it, but when you look at her history and her house, there is some resemblance,” Vogeler says. Petronas head of art management Ratna Siti Akbari hopes that every display the gallery arranges will “support Petronas’ aspirations in enhancing our human capital. I am hoping that visitors [will] reminisce, study deeply and apply what inspired the artist [in their lives]”. Visual Dialects: Cultural Ties That Bind is on show at Galeri Petronas, Level 3, KLCC, until July 15. This article first appeared on May 21, 2018 in The Edge Malaysia.